Suitable for all kind of speakers with placing surface around 7.48" x 8.66" (19 x 22cm) from all different brands such as Bose, Yamaha, Polk Audio, etc. 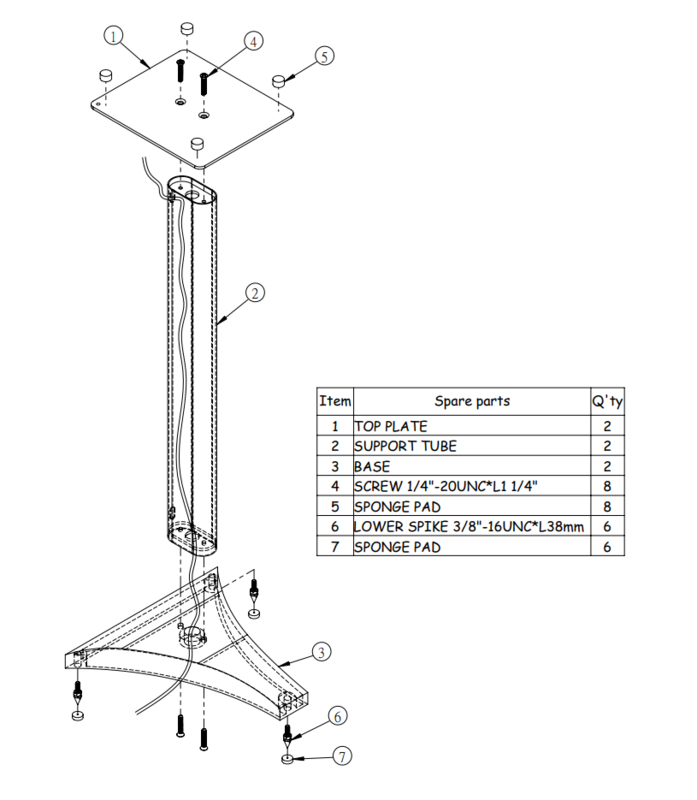 The Speaker Stand for Large Size SP-OS10 is an ideal surround speaker stand for your home theatre. Suitable for all kind of speakers with placing surface around 7.48" x 8.66" (19 x 22cm) from all different brands such as Bose, Yamaha, Polk Audio, etc. up to 44lb (20kg). 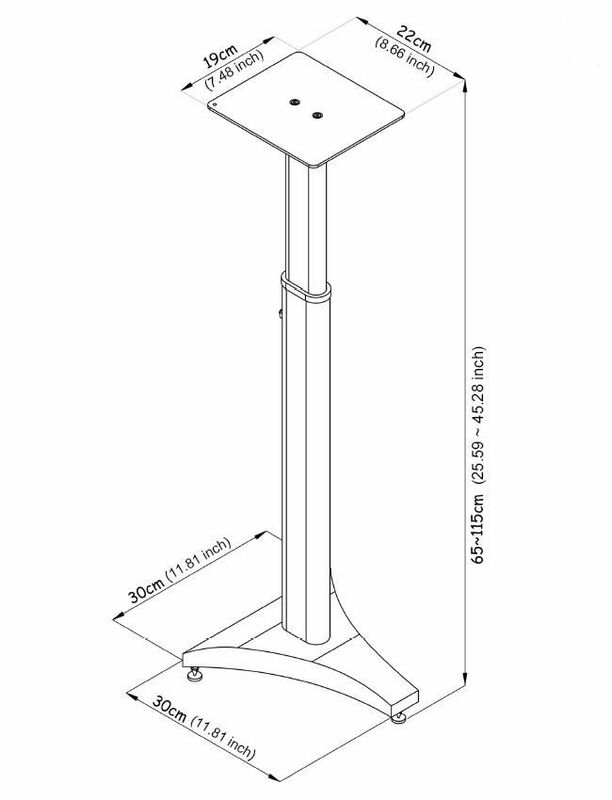 This speaker stand features height adjusments range of 25.59" - 45.28" (65 - 115cm) to help achieve the best surround sound effect. Speaker wires no more than 0.39" (10mm) in diameter can be routed all the way through the pole for neat clutter free appearance. Q: If my speaker is 7 1/8" X 8 7/16", a bit smaller than the stand surface of 7.48" x 8.66" (19 x 22cm), will that not look nice? A: It will look fine since it's only a bit smaller than the top plate. Q: Is the height adjustment completely variable or just two choices (65cm or 115 cm)? A: Yes, it is completely variable.